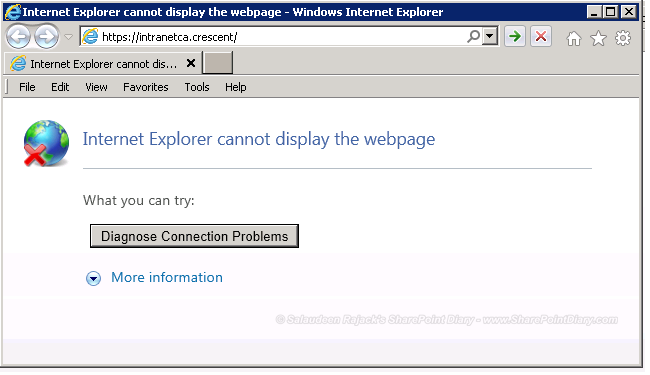 Problem: SharePoint 2010 central administration site stopped working after a reboot and gave "Internet Explorer cannot display the webpage" on trying to access! Wait till it comes to "Online" Status. That's all! We've fixed SharePoint 2010 central administration page cannot be displayed issue.